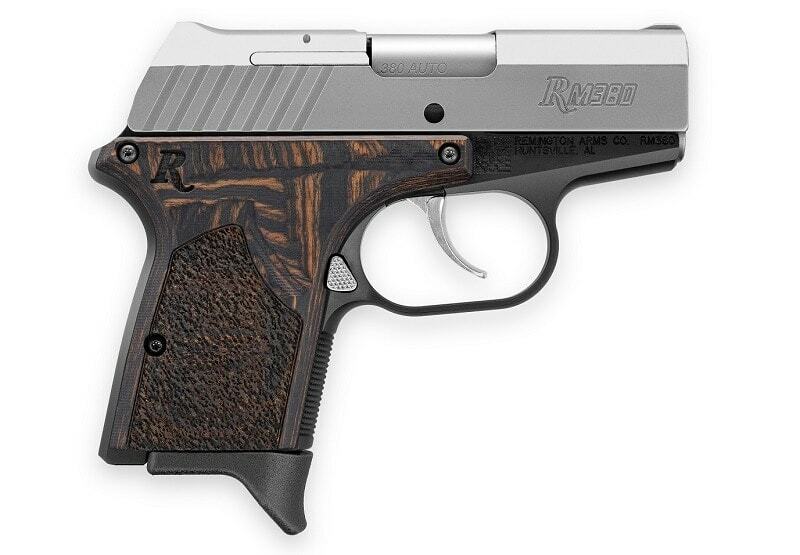 Big Green has expanded their RM380 line of compact handguns to include an option packing a stainless slide and laminate Macassar grips. 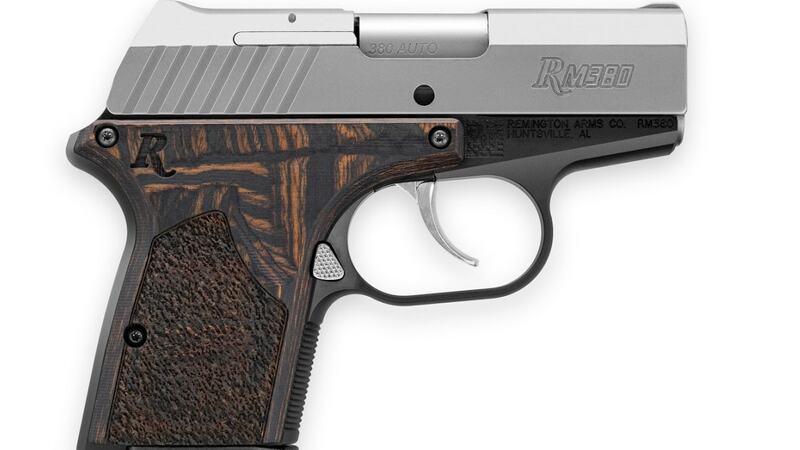 The new RM380 Executive joins Remington’s growing series of all-metal DAO single-stack .380s. Using a 7075 aluminum frame and a stainless slide, the newest variant comes standard with a 2.75-inch barrel which translates to a 5.27-inch overall length while weighing in at 12.2-ounces, unloaded. Other features include contoured fixed sights, billed as being “snag free” as well as a checkered front strap, extended beavertail and fully ambi mag release. The Executive ships with two six-round mags with an MSRP of $405. By comparison, that is about $50 more than the RM380 Micro Light Blue and Blue/Silver models while being about $30 less than the standard black-on-black RM380.